As promised, our team of software engineers have produced the ultimate in easy-to-use ‘say no to Tesco’ internet applications. 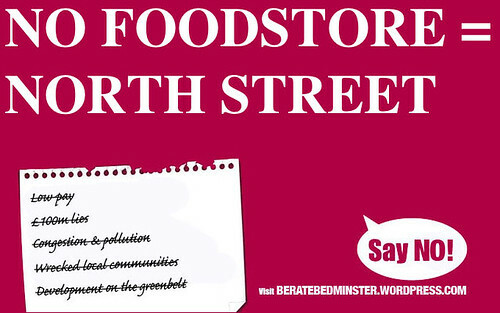 Just go to our dedicated campaign site, type your witty anti-Tesco riposte, press ‘Draw’ and then print! Hours of fun for all the family. Guaranteed. This entry was posted in Bedminster, Bristol, Bristol South, Developments, Local government, Planning, Politics, Southville, World Cup 2018 and tagged Ashton Gate, Berate, Bristol City FC, Tesco. Bookmark the permalink.